God Created YOU to be A Woman of Wisdom! 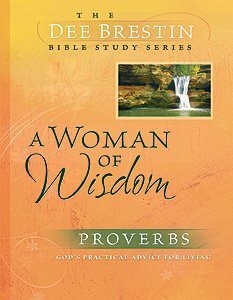 This 10-lesson study on the Book of Proverbs by bestselling author and beloved Bible teacher Dee Brestin zeroes in on qualities that describe A Woman of Wisdom. For each quality there are also vivid illustrations of biblical women who embraced or rejected God's wisdom—women who will make the proverbs come alive for you.